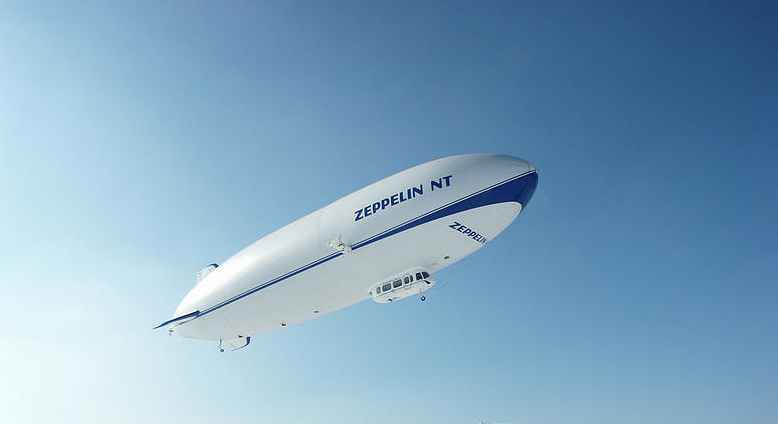 The Zeppelin NT (New Technology) project started several years ago and uses modern technologies and new design innovations to realize a more maneuvrable and efficient rigid airship. The largest airship currently in service is the 75 m (246 ft) long Zeppelin NT, which has an envelope volume of 8,225 m©¯ (290,463 ft©¯) and can carry 14 people. It is manufactured by Zeppelin Luftschifftechnik of Germany.